A total workhorse in my kitchen, the humble Crock Pot (or slow cooker) is an absolute life-saver on weekdays when you just don’t have the time to cook, or to help prep ahead of time. There is something so satisfying about just tossing everything in the pot in the morning, then coming home after a long day to a house that smells like love. 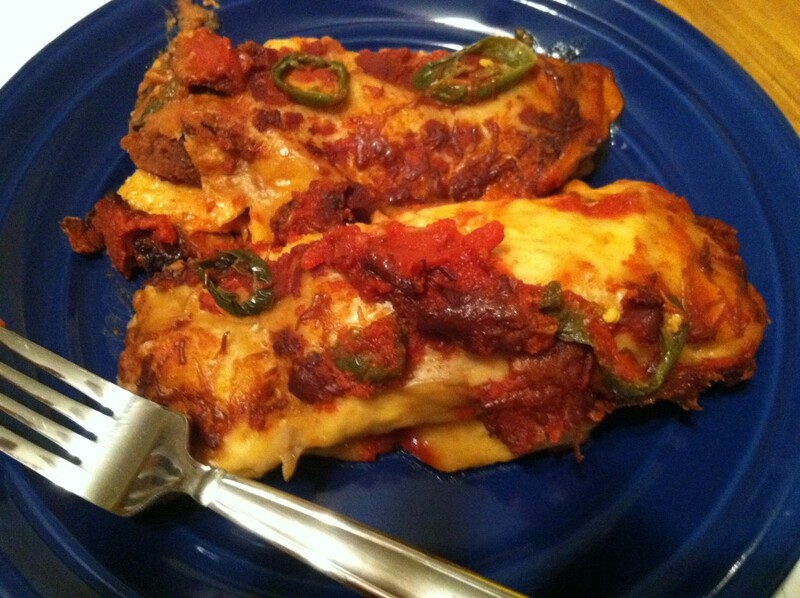 While the crock pot has certainly proven its worth time and time again with soups & stews like crock pot tortilla soup, chili, or red pozole with pork, and other favorites like apple sauce and cheddar broccoli rice, it is also awesome at making easy enchiladas! 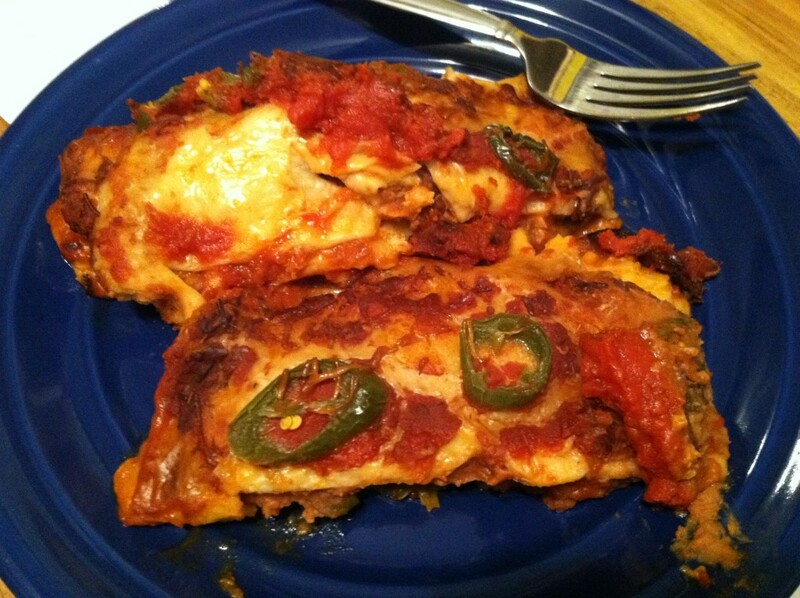 Enchiladas are a great one-pot meal, and can be made with any meat you like, or made vegetarian by using only beans, tofu, and/or cheese as the filling. 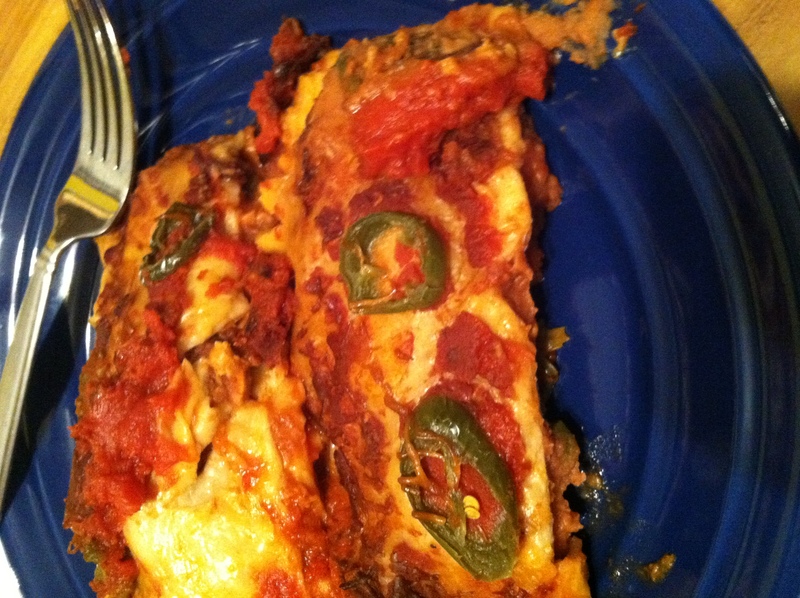 This recipe adds a little spice to the meat mixture as well as using whole jalapenos for a kick. 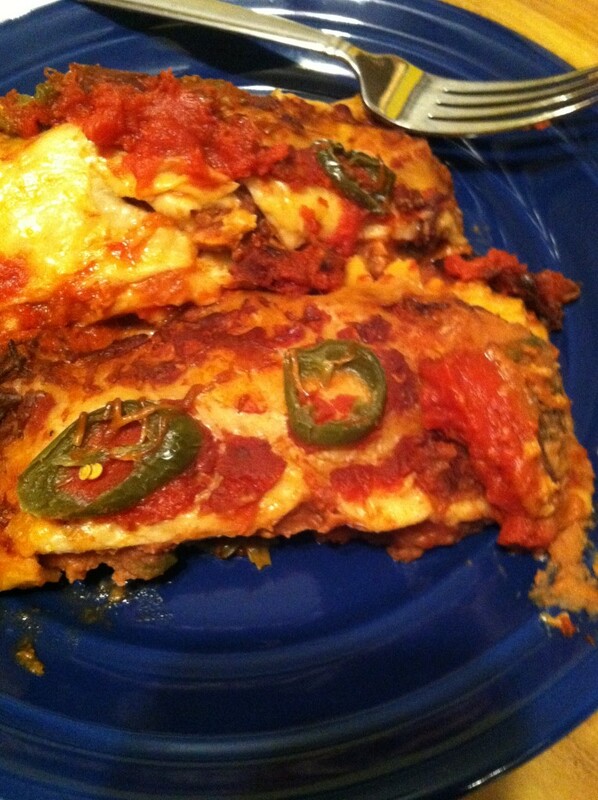 And I used regular old tomato sauce because I didn’t have any enchilada sauce. 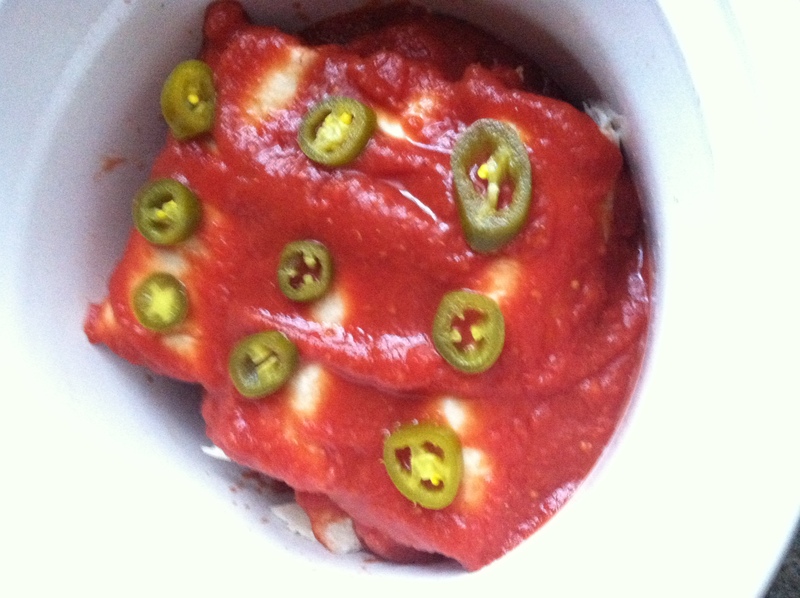 So if you want to make enchiladas with no enchilada sauce, I got you. Step 1: Lay out your tortilla, and spread 1-2 tbsp of refried bean in the center. You can use regular canned beans of any kind as well. 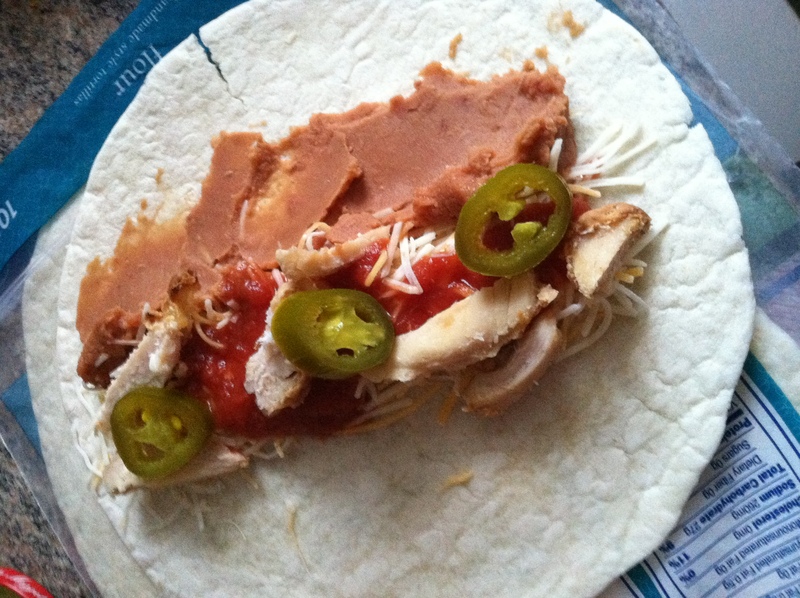 Step 2: Put a layer of shredded chicken on top of the beans, as well as some hot salsa, shredded cheese, and a few sliced jalapenos. Step 3: Wrap the tortillas up like a burrito, and layer in a sprayed crock pot. Once you have a bottom layer of 2-3, pour on a few tbsp tomato sauce. Then layer on a few more. Repeat until you use up all the tortillas. 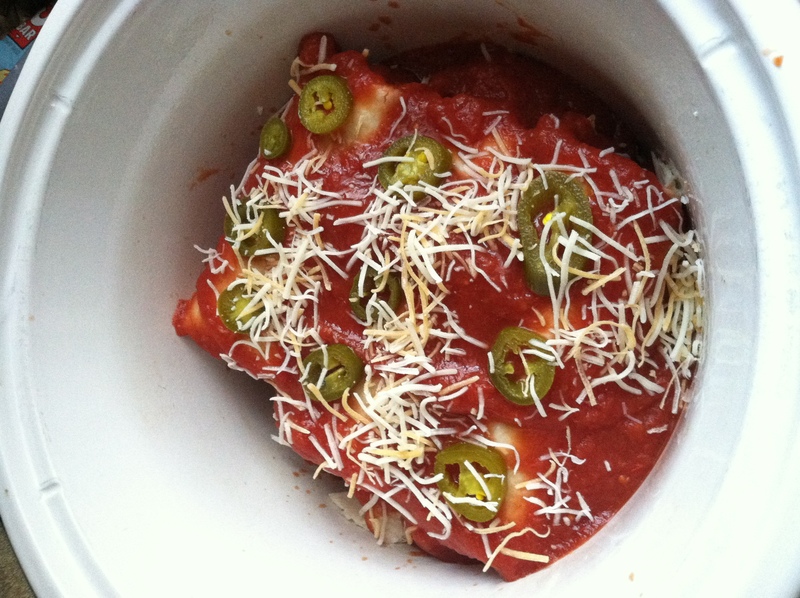 Step 4: Sprinkle the top layer with a little more cheese and some more jalapeno slices, then set the crock pot on low for 4-6 hours. 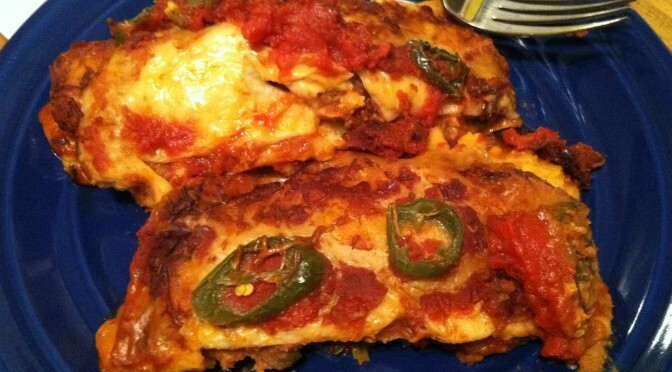 They bake up perfectly, soft on the inside with a little bit of crisp, and just the right amount of heat. Lay out your tortilla, and spread 1-2 tbsp of refried bean in the center. You can use regular canned beans of any kind as well. Put a layer of shredded chicken on top of the beans, as well as some hot salsa, shredded cheese, and a few sliced jalapenos. Wrap the tortillas up like a burrito, and layer in a sprayed crock pot. Once you have a bottom layer of 2-3, pour on a few tbsp tomato sauce. Then layer on a few more. Repeat until you use up all the tortillas. 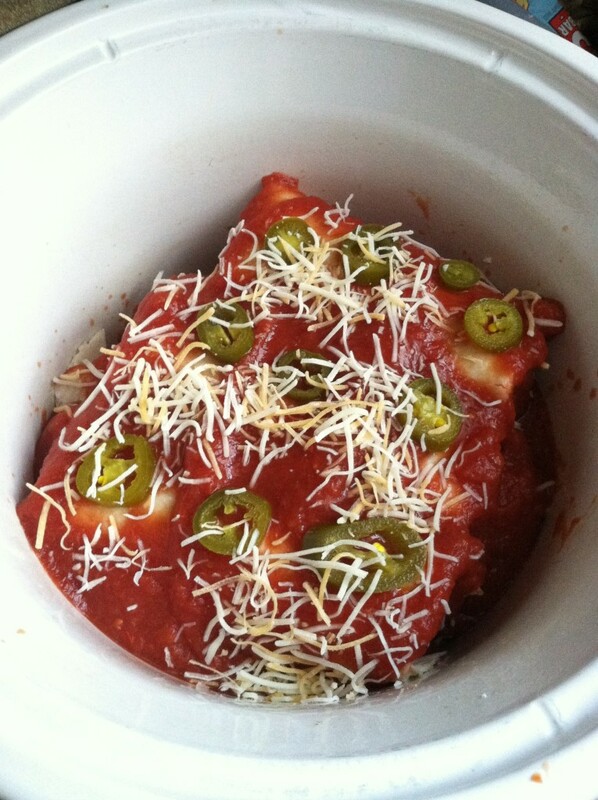 Sprinkle the top layer with a little more cheese and some more jalapeno slices, then set the crock pot on low for 4-6 hours.